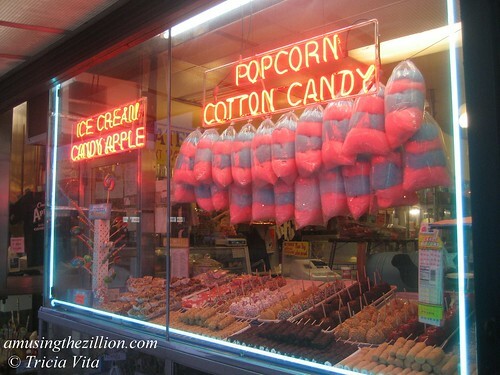 The window of Coney Island’s Williams Candy is hard to resist photographing. As for eating, we recommend the yummy Caramel Marshmallow Sticks with Toasted Coconut and Chocolate Caramel Marshmallow Sticks with Chocolate Sprinkles! Williams is one of our favorite places in Coney Island. Their tiny shop is right next to Nathan’s Famous and is open year round. Hours are 9 am till 7 pm during the off season. The shop stays open late when Coney is in full swing. Williams also has a delicious looking website where you can order marshmallow sticks and other candy treats online. I love Williams Candy! While they are sometimes my first stop, they are always my last stop- so I can have something sweet for the LONG trip home. I still haven’t tried the dipped marshmallows though…. I will surely be there in June for the Parade, and if the weather is fine in May, I may feel the pull to come earlier. I cannot wait to see what this summer will hold!